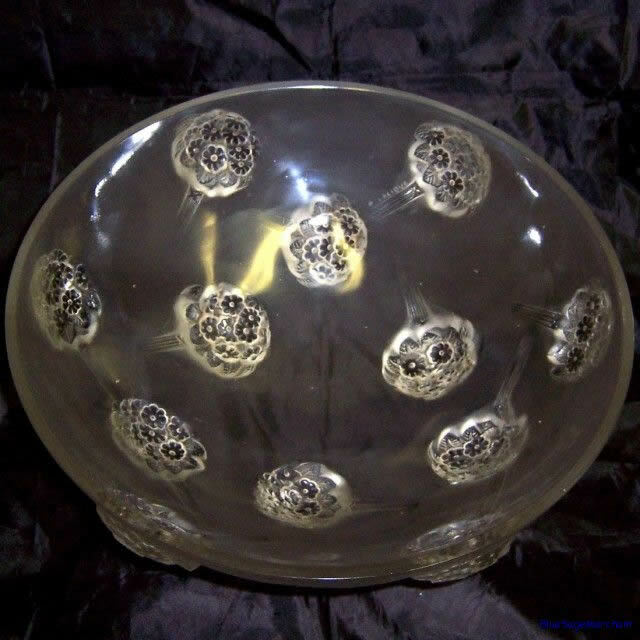 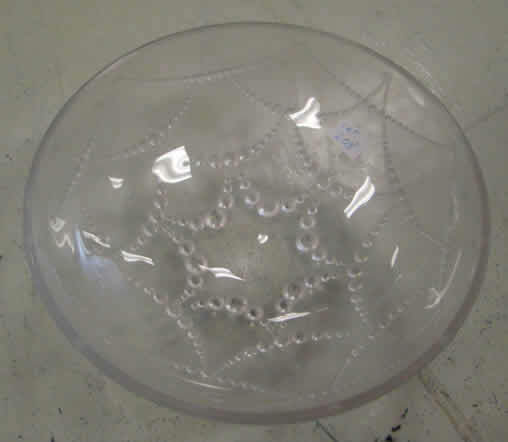 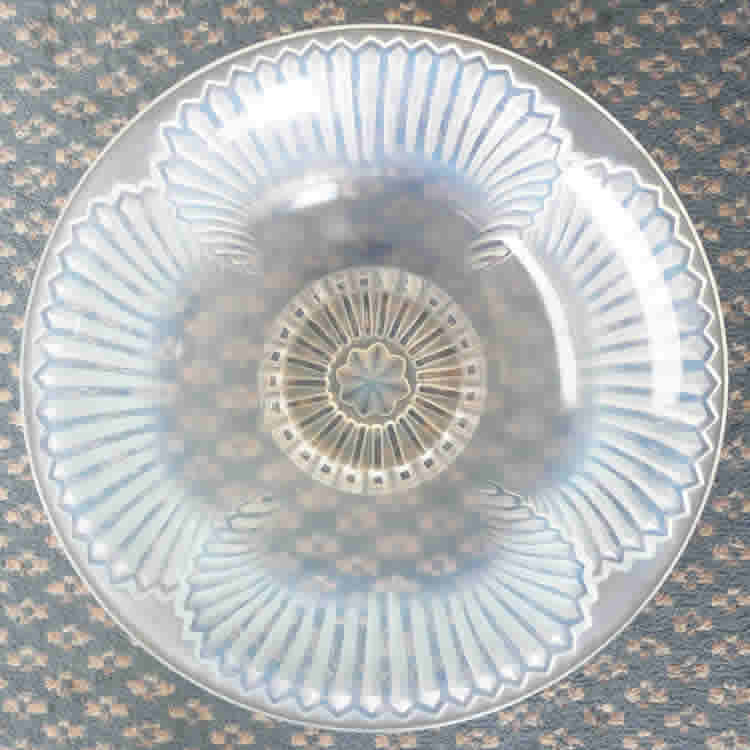 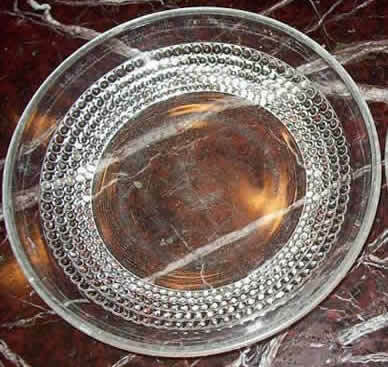 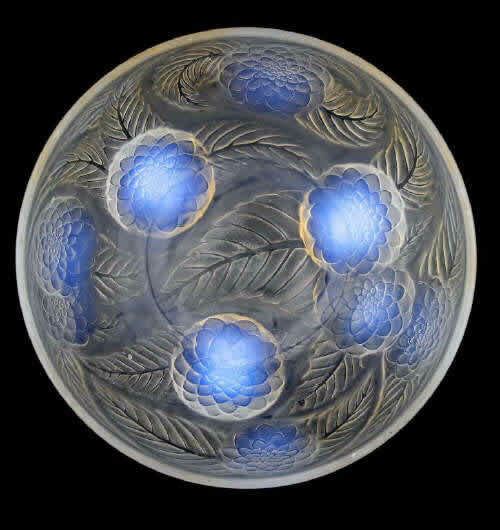 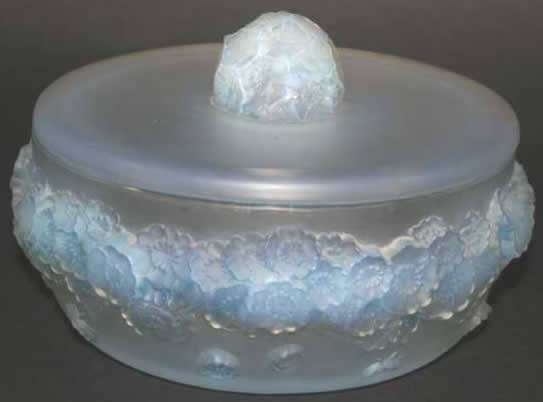 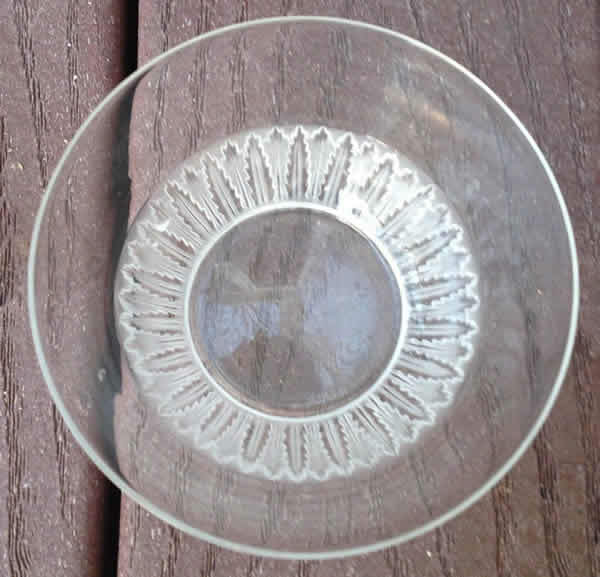 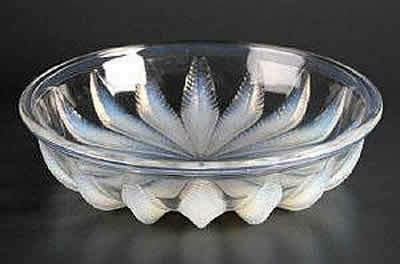 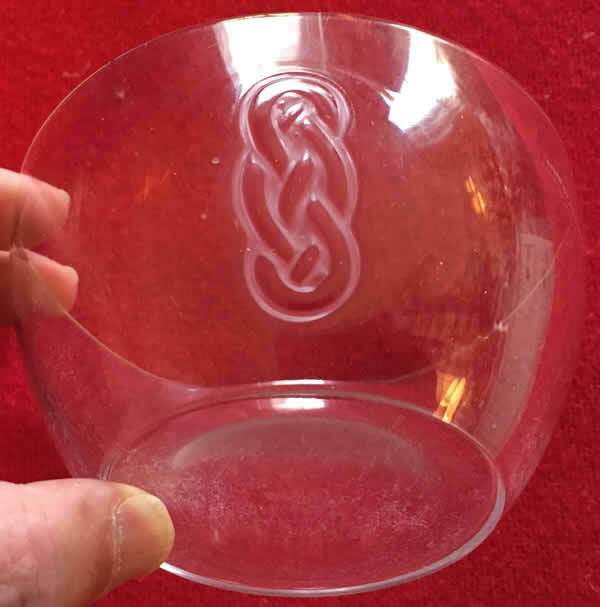 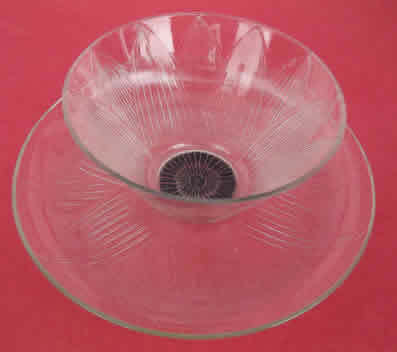 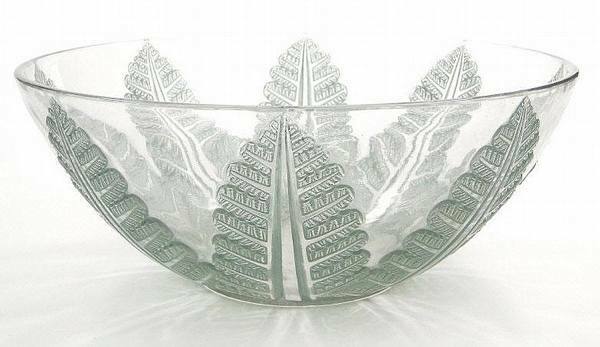 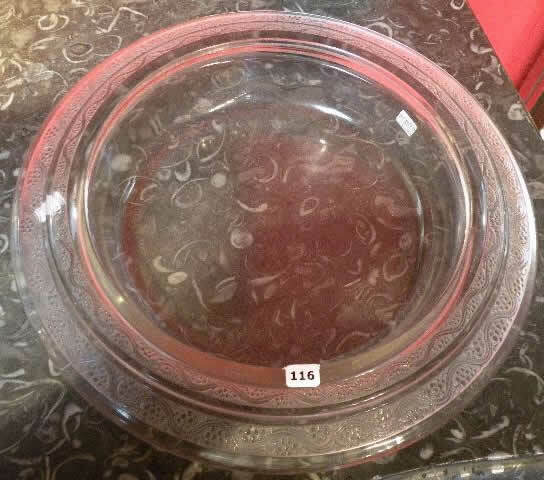 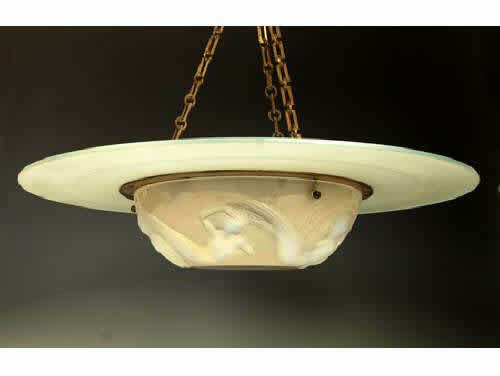 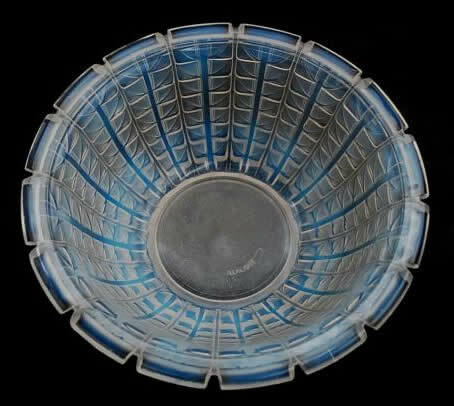 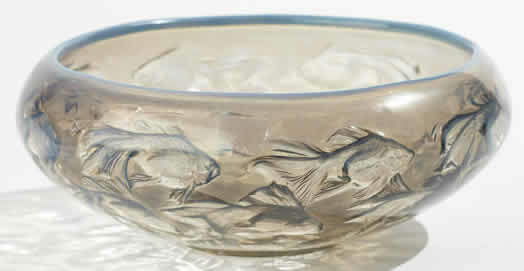 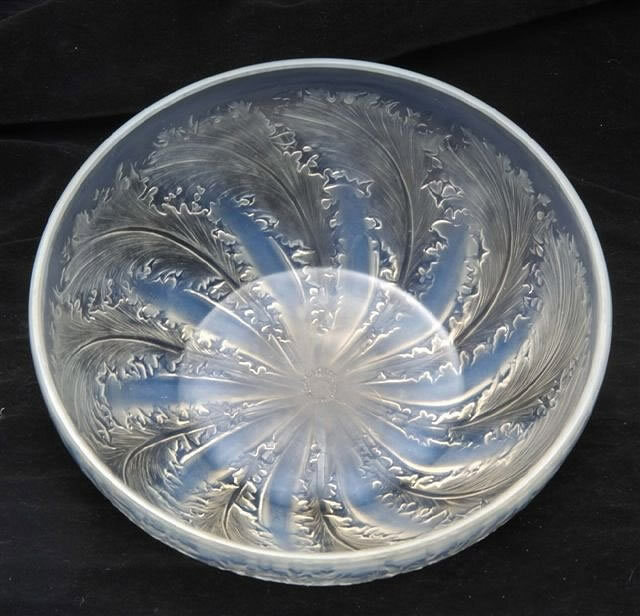 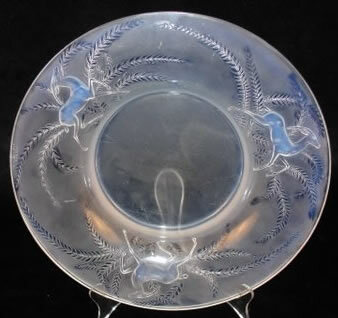 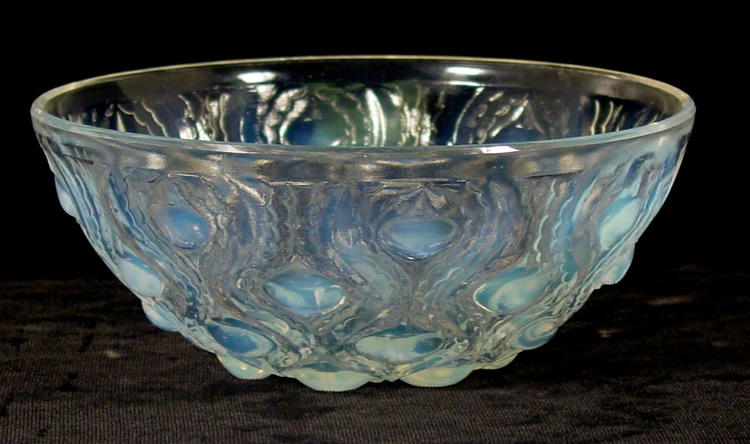 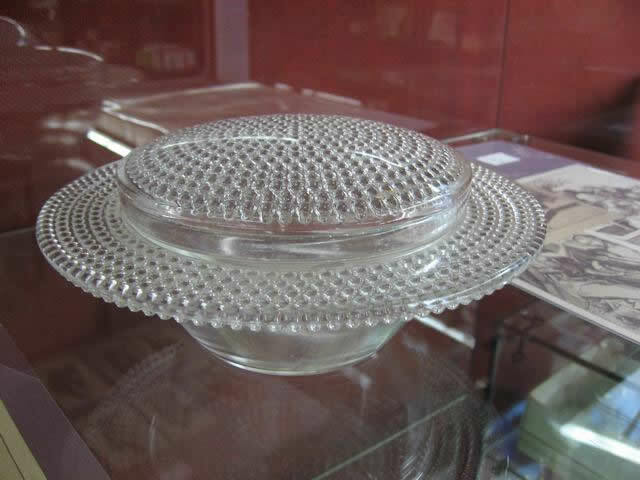 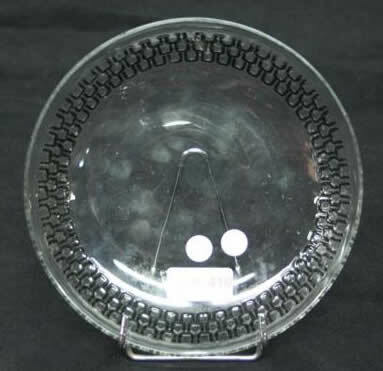 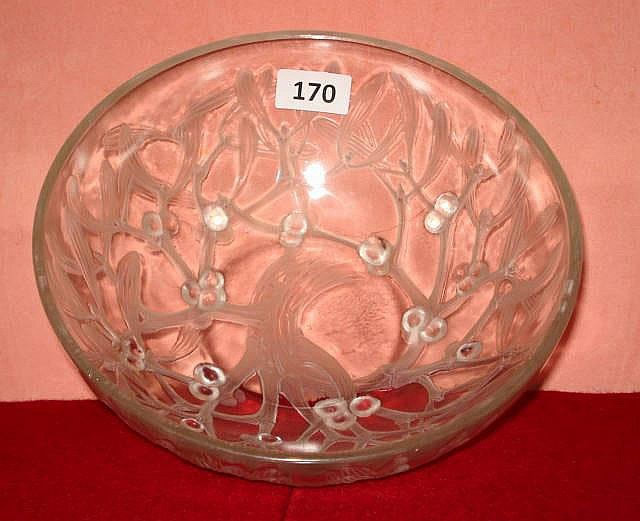 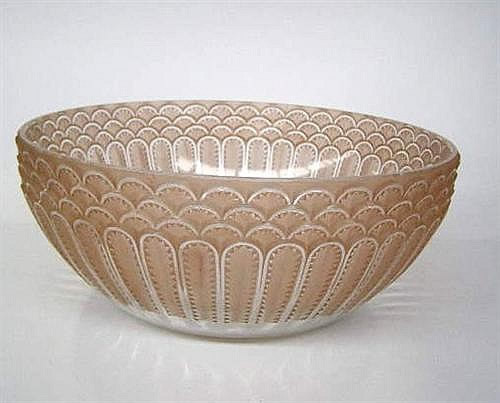 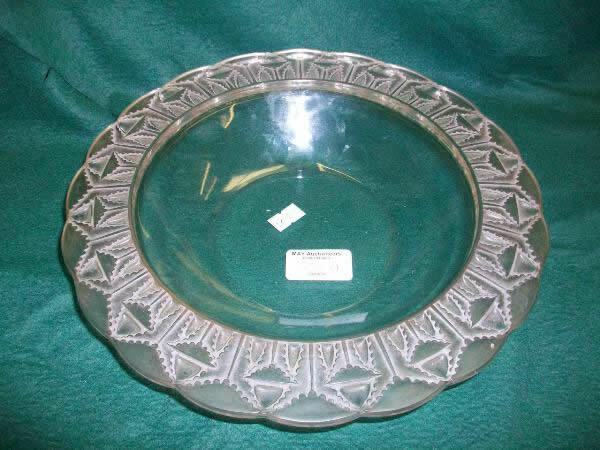 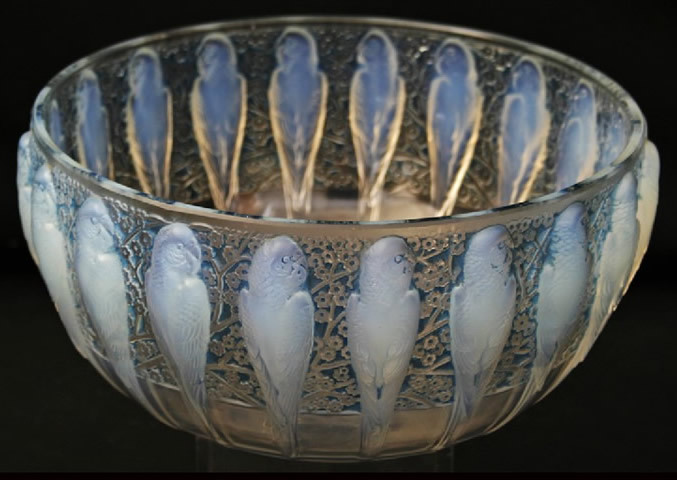 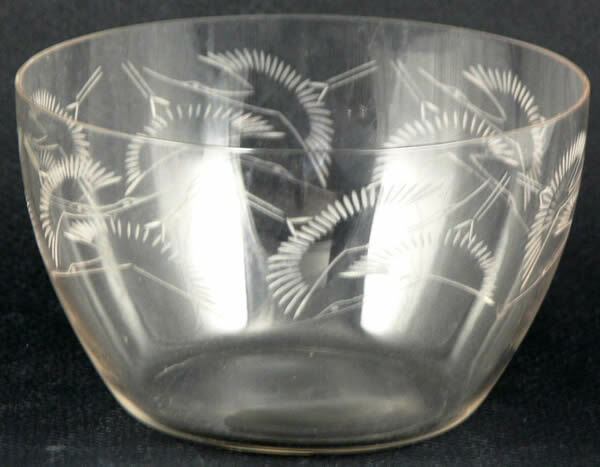 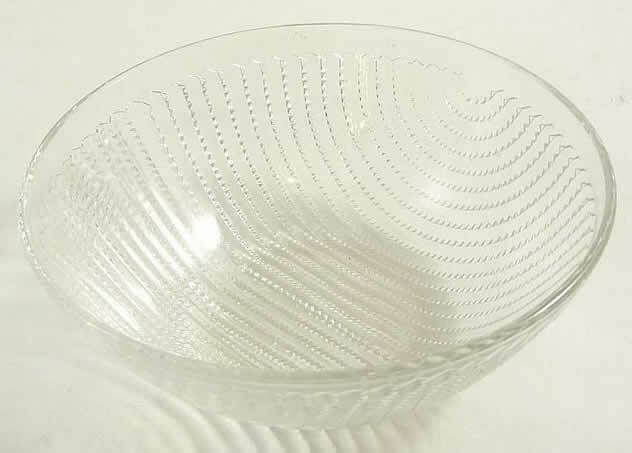 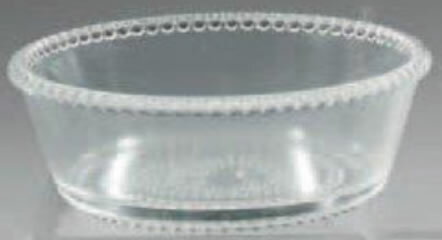 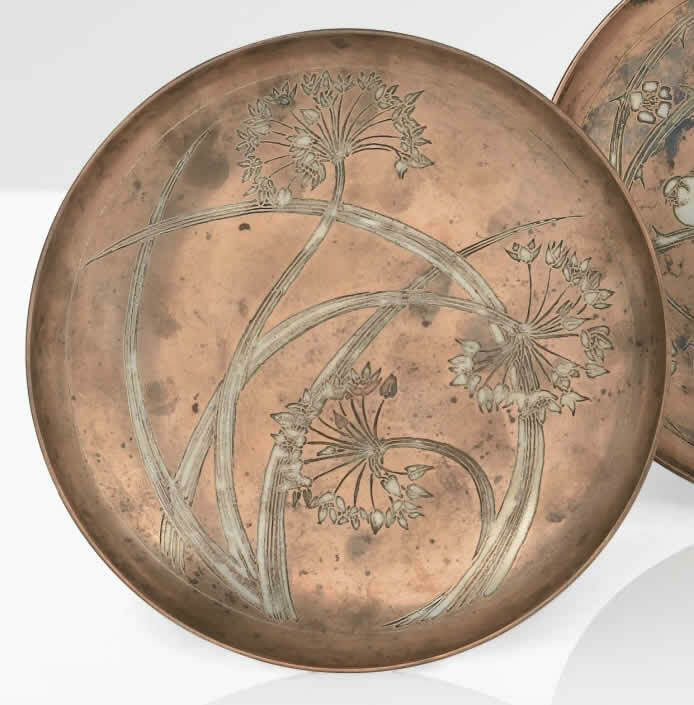 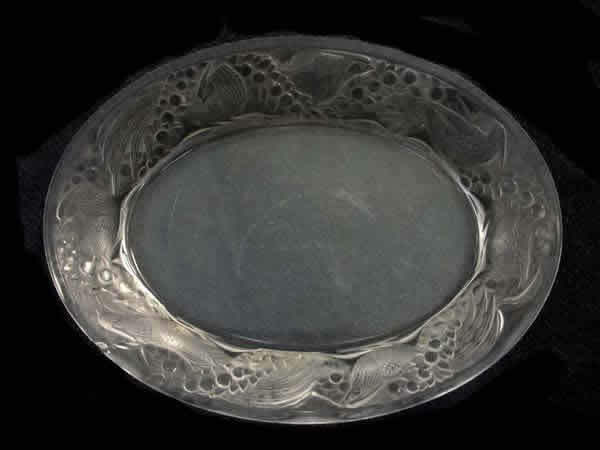 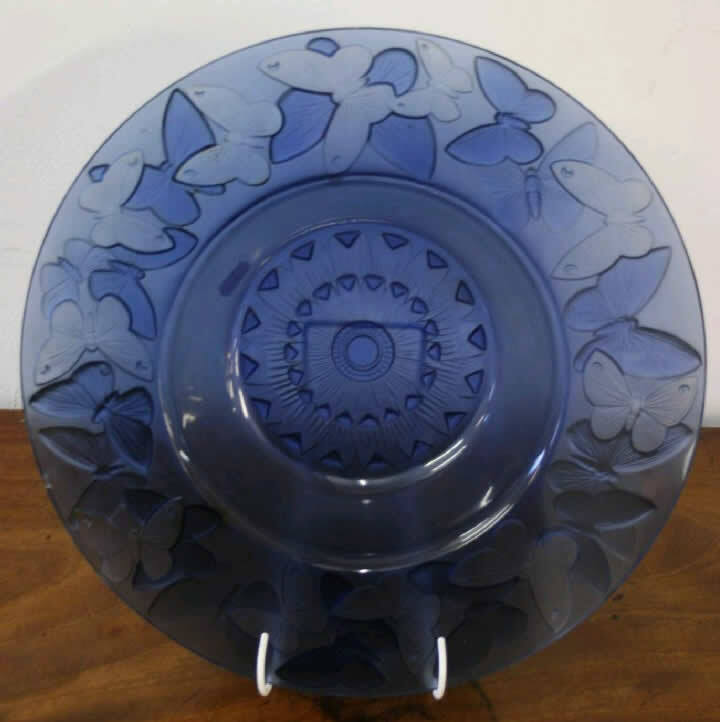 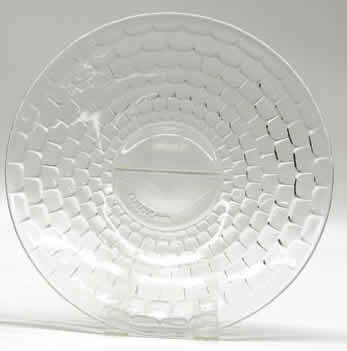 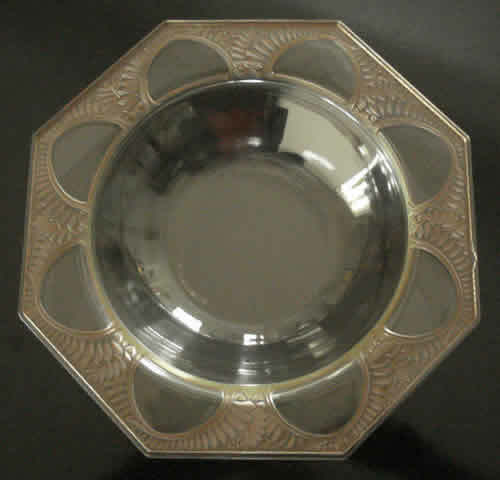 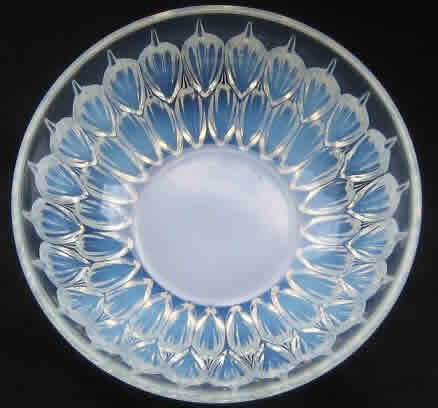 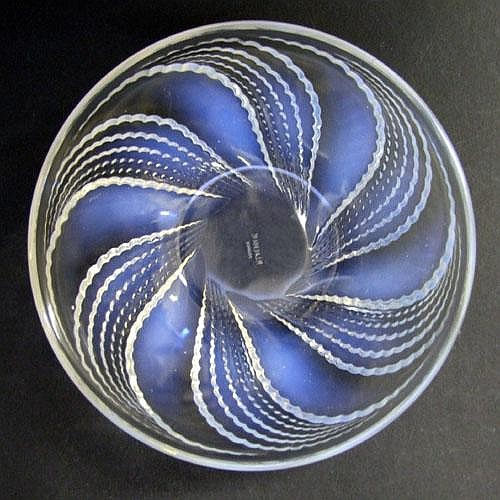 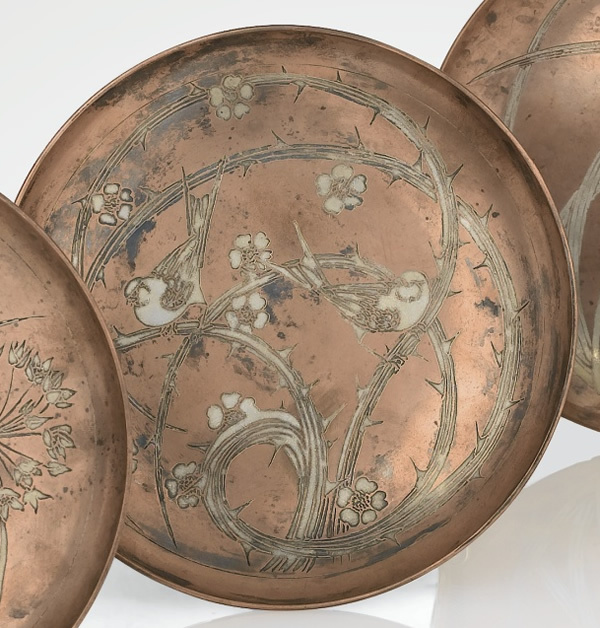 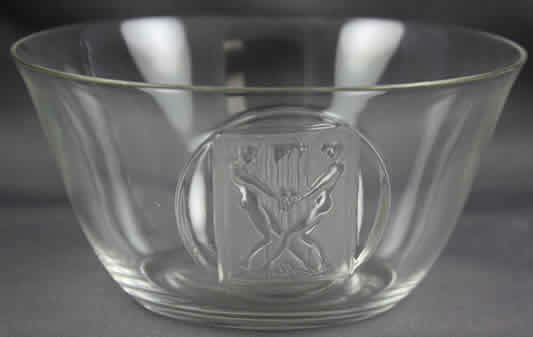 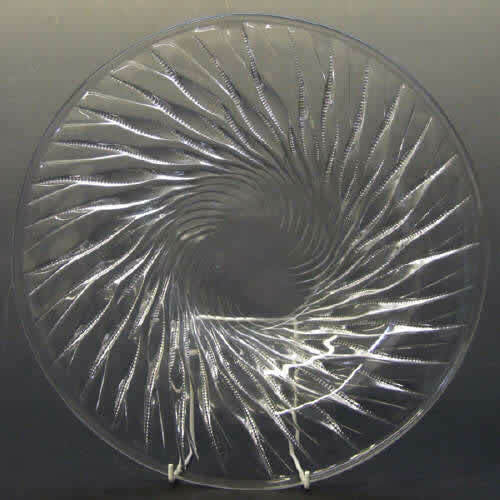 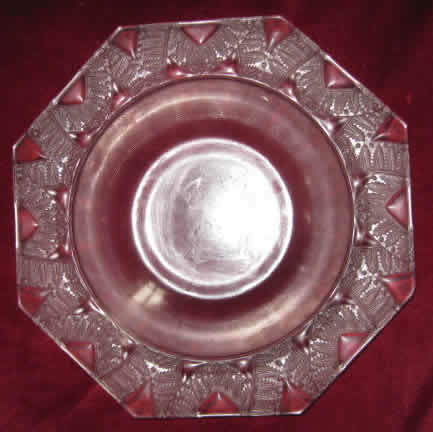 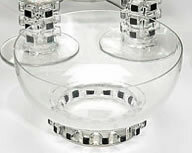 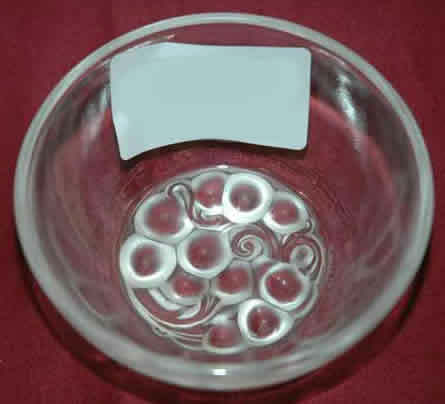 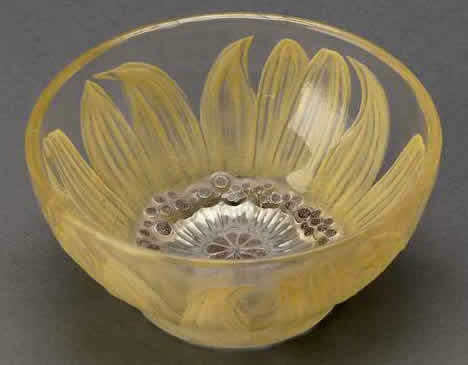 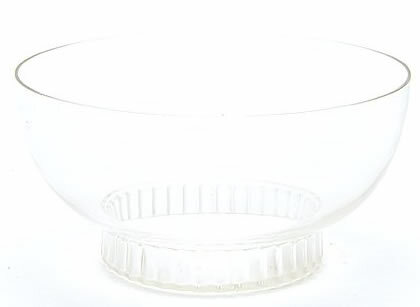 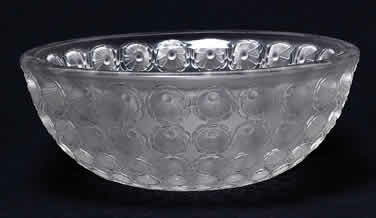 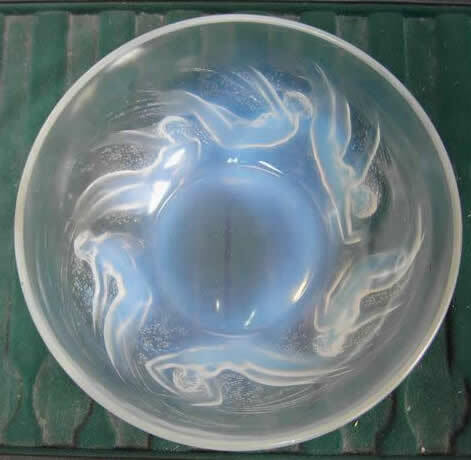 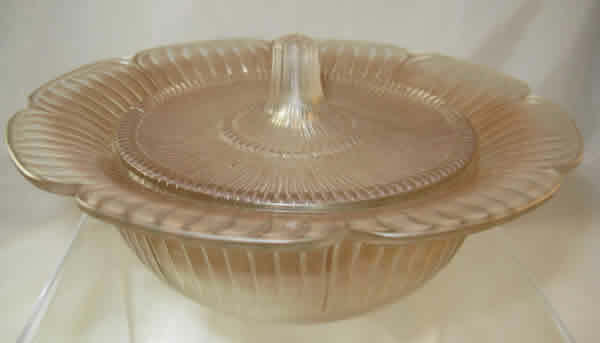 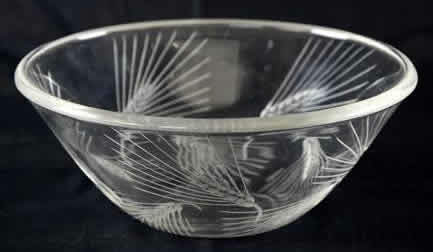 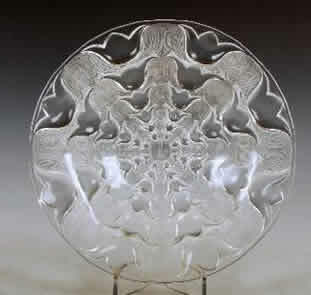 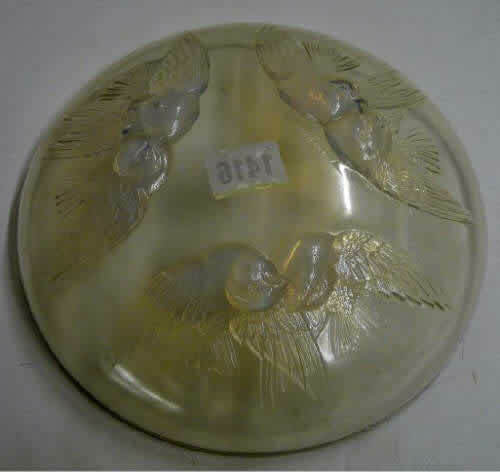 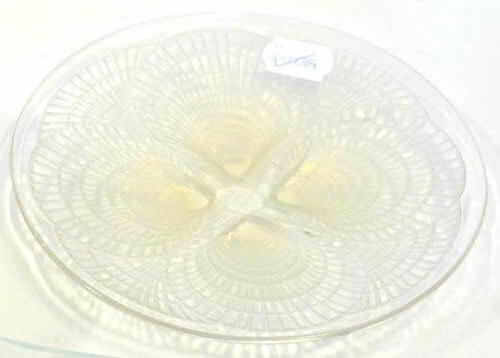 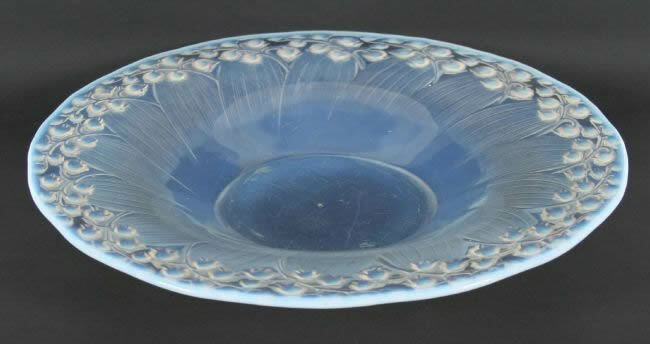 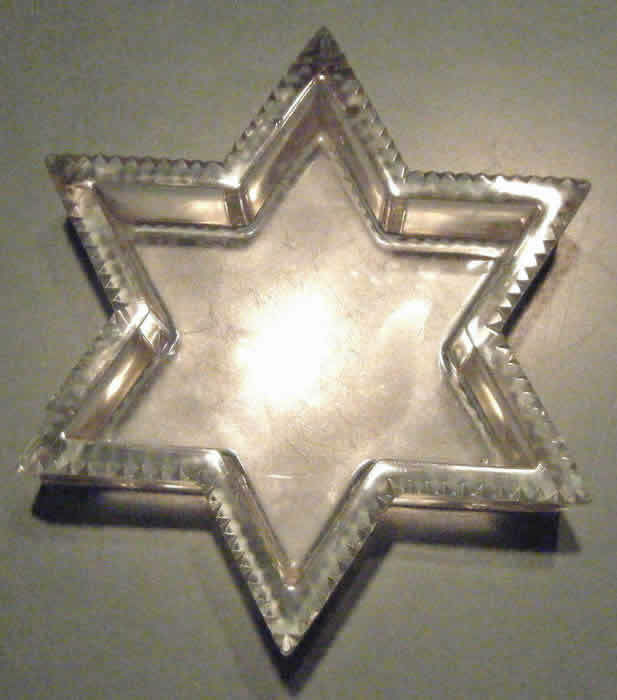 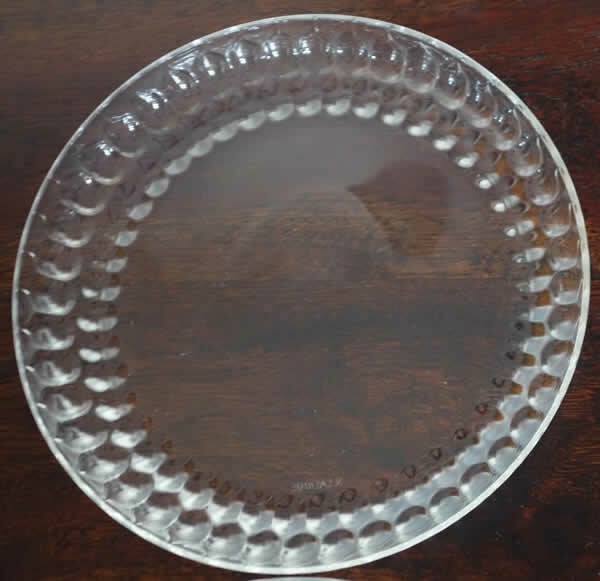 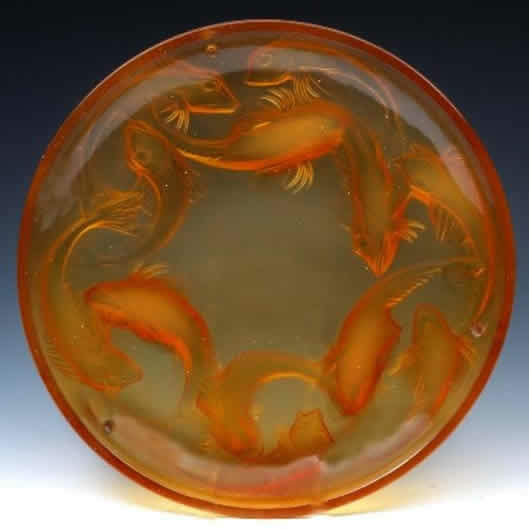 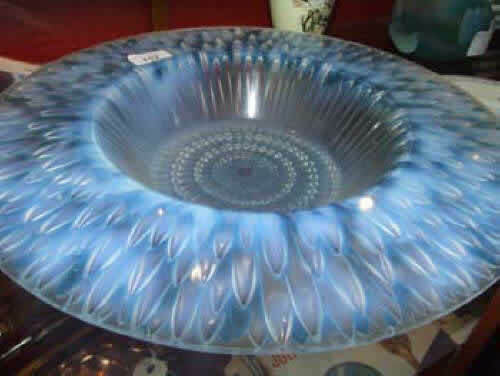 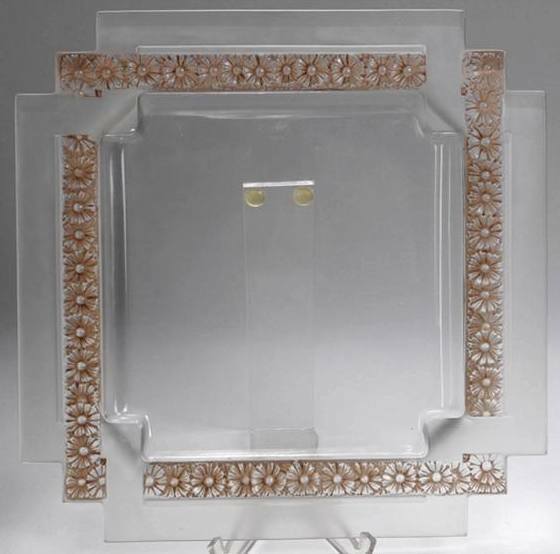 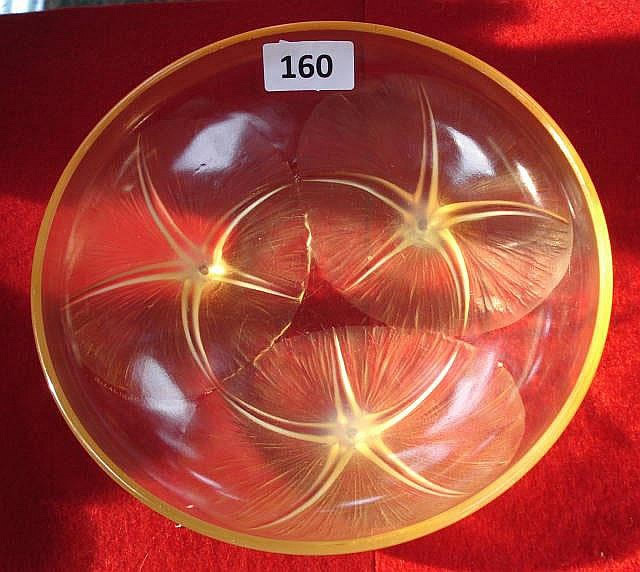 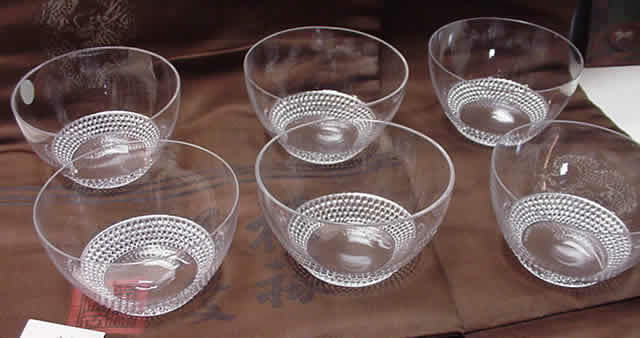 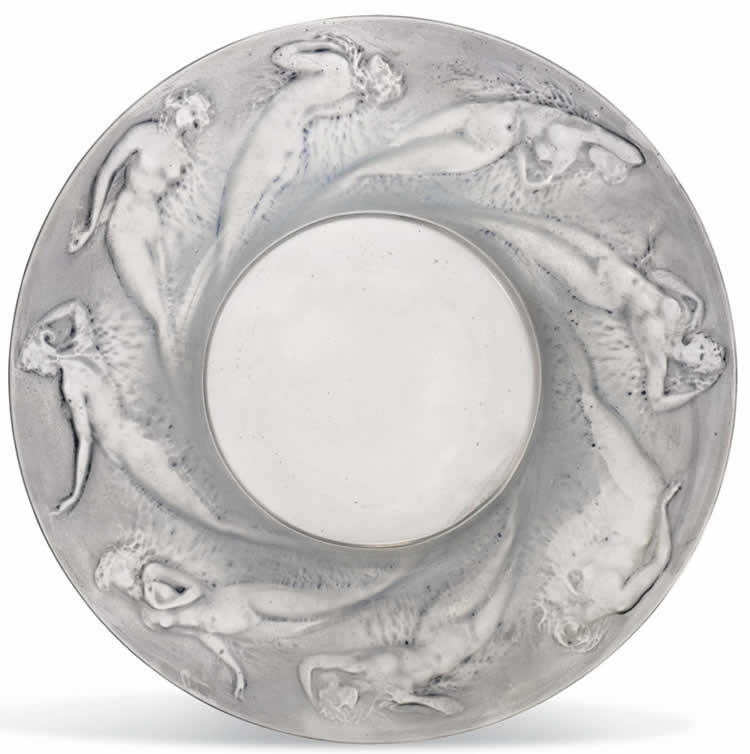 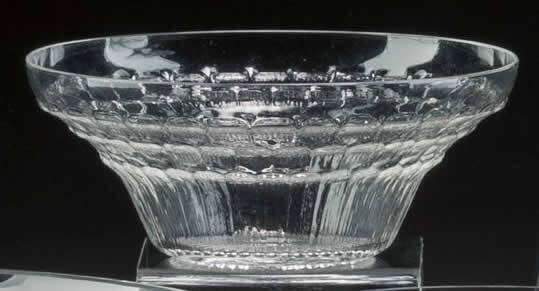 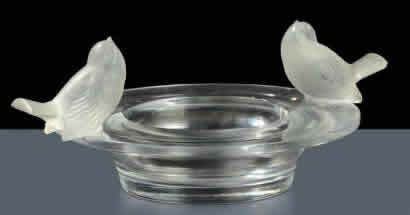 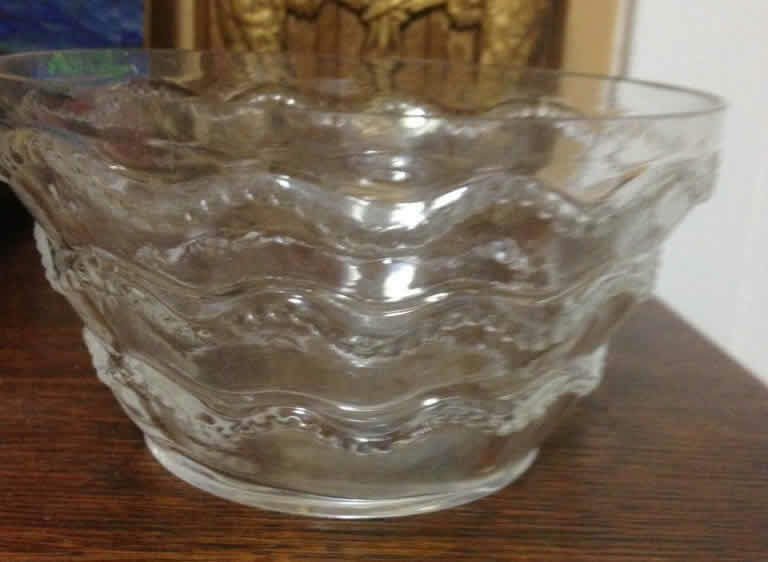 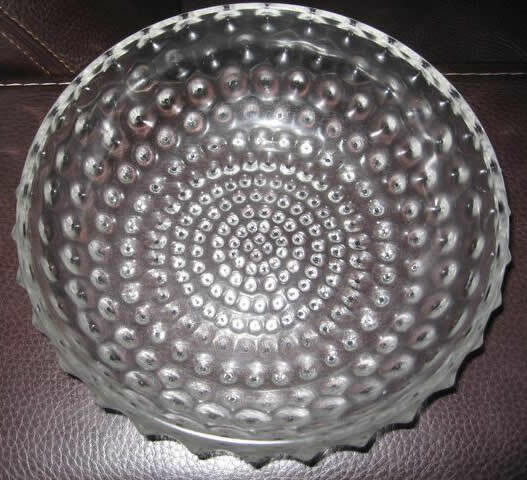 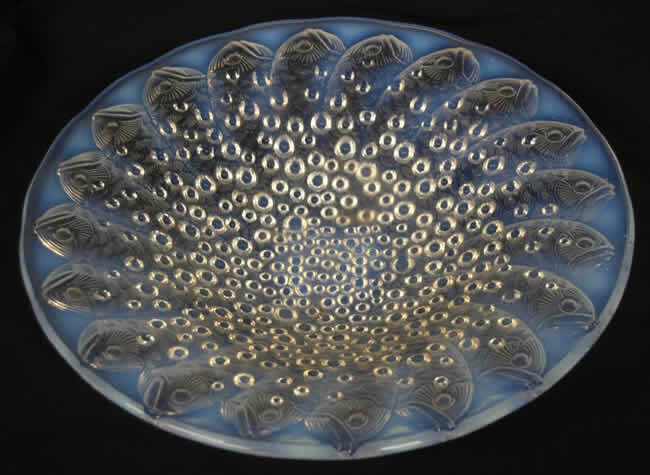 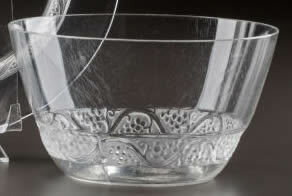 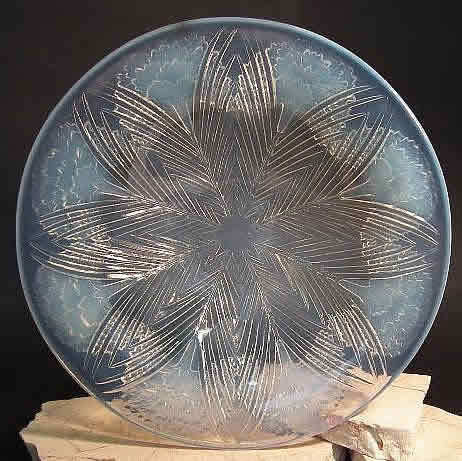 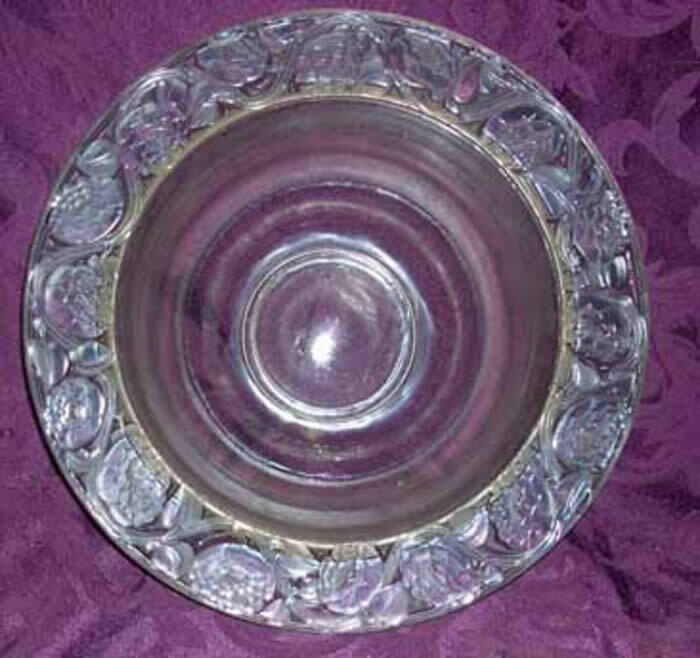 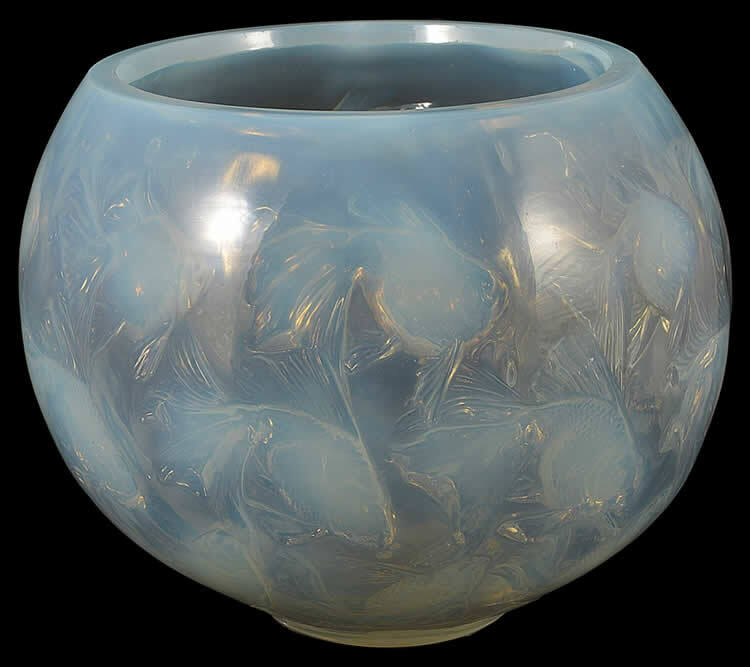 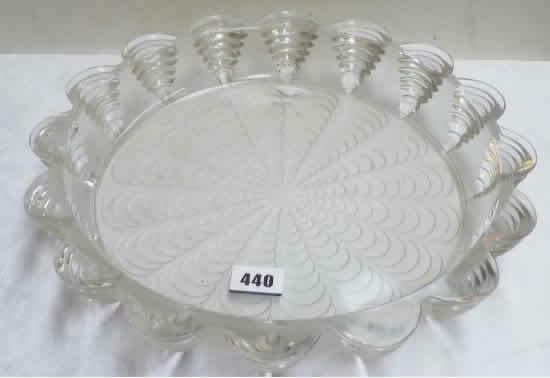 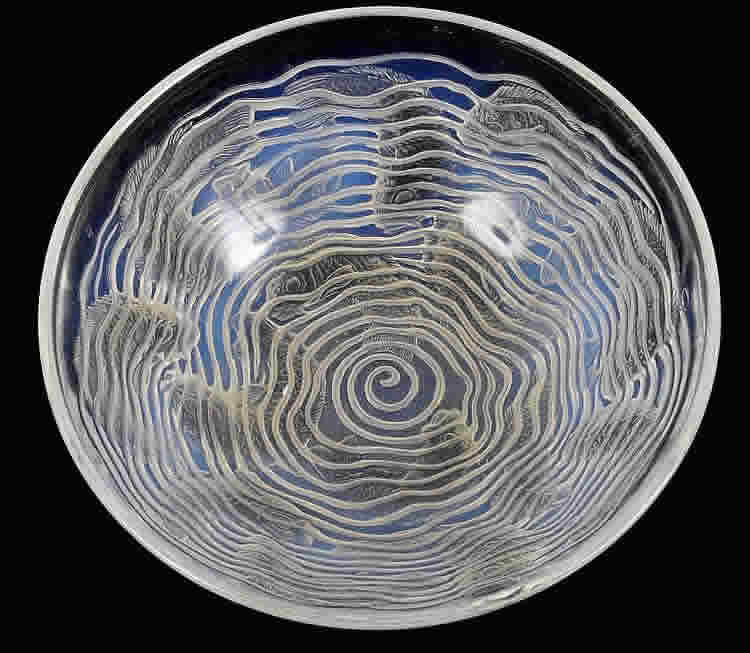 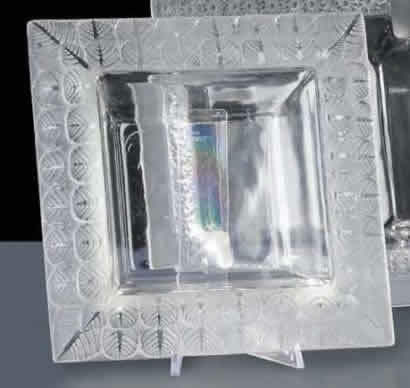 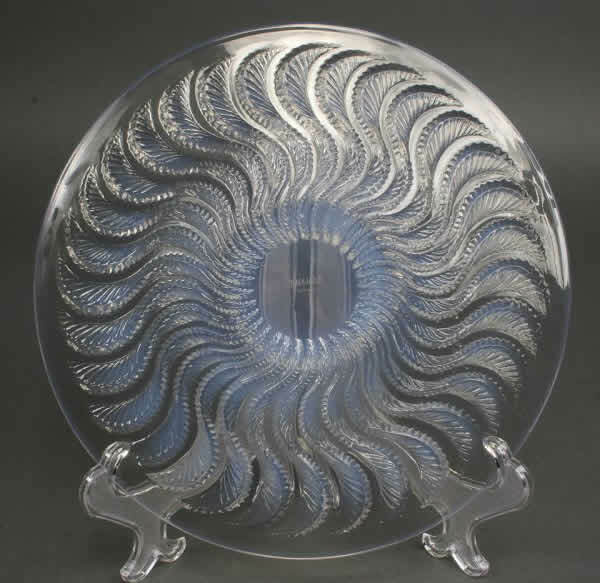 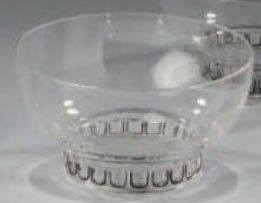 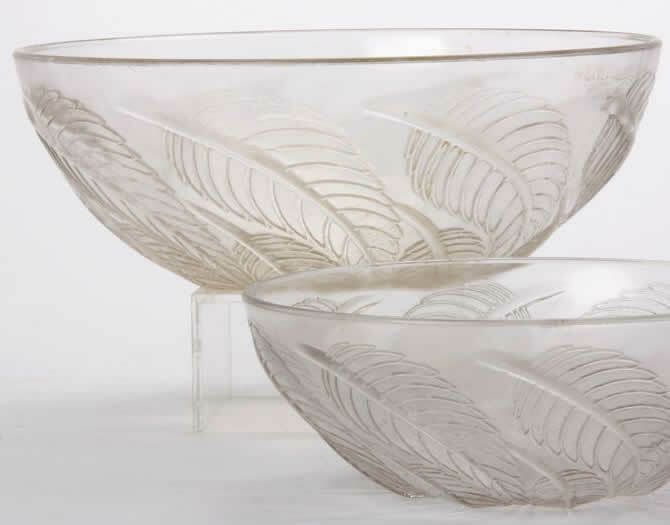 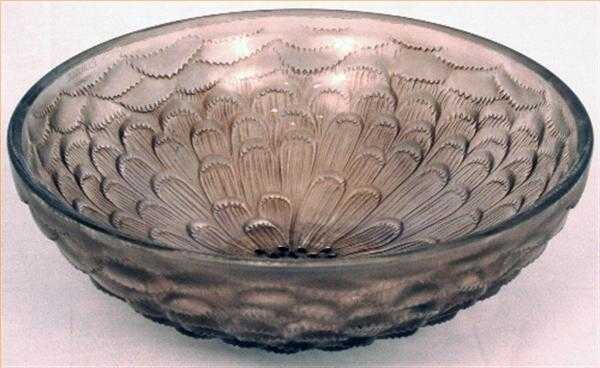 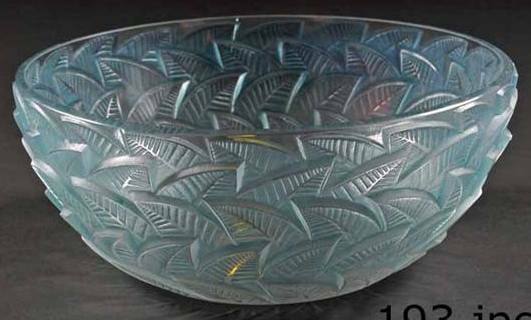 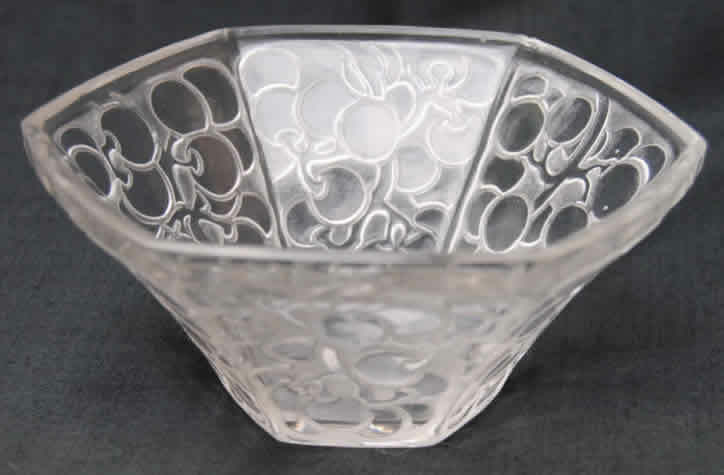 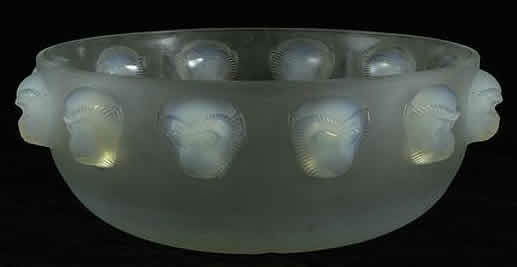 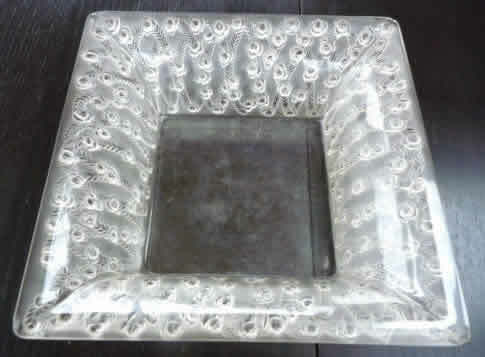 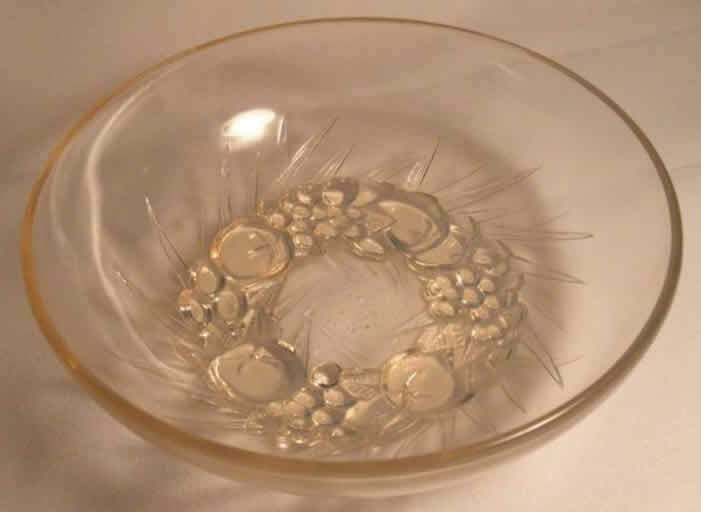 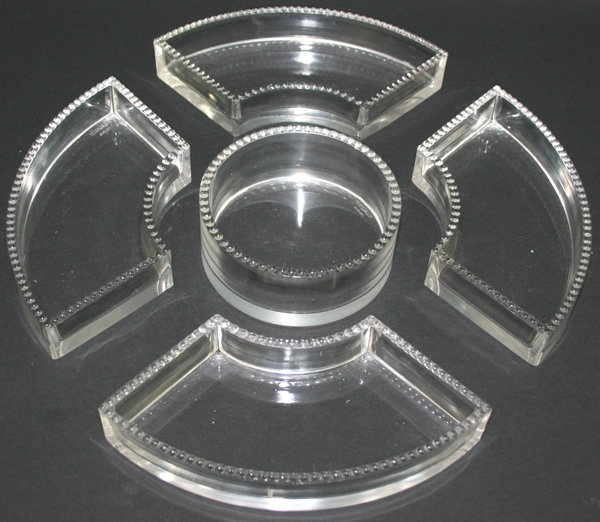 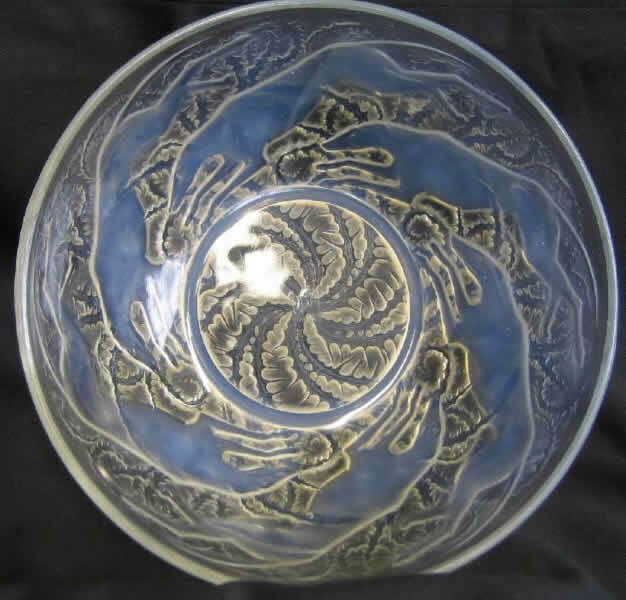 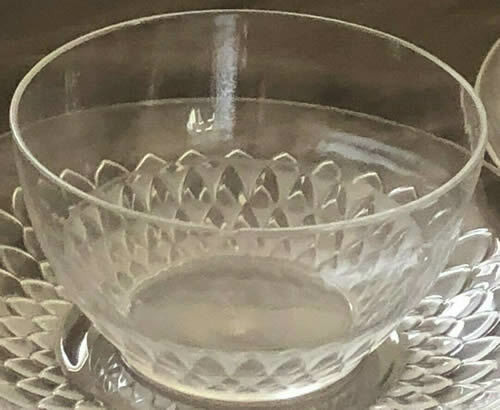 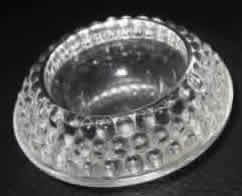 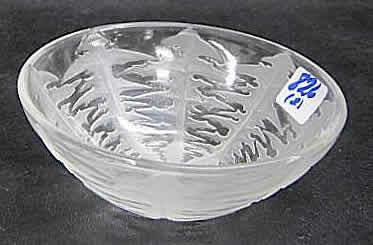 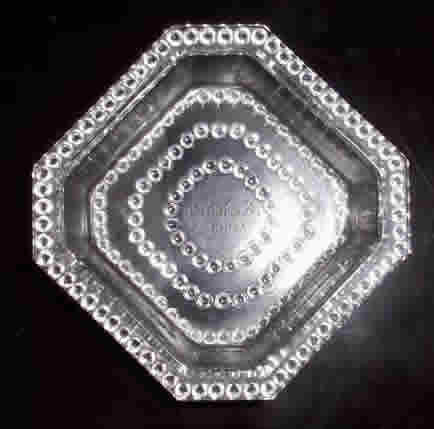 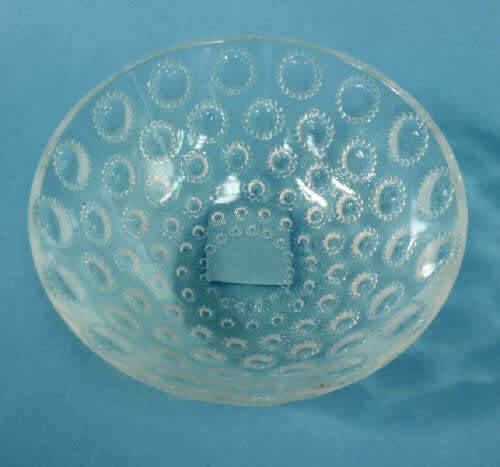 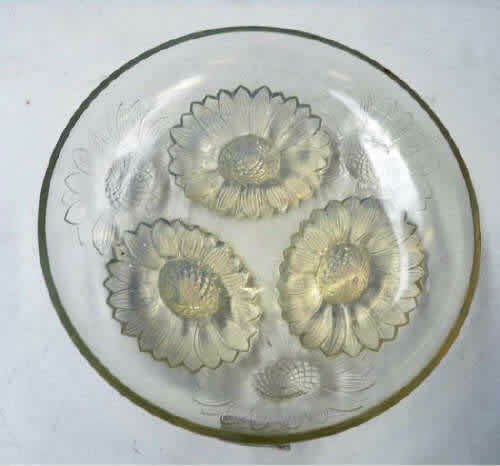 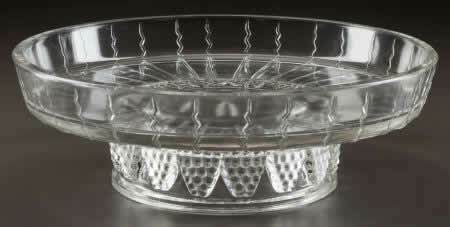 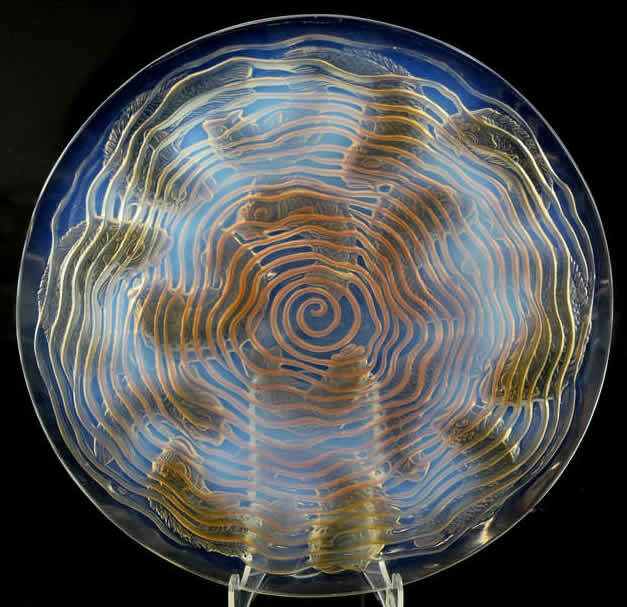 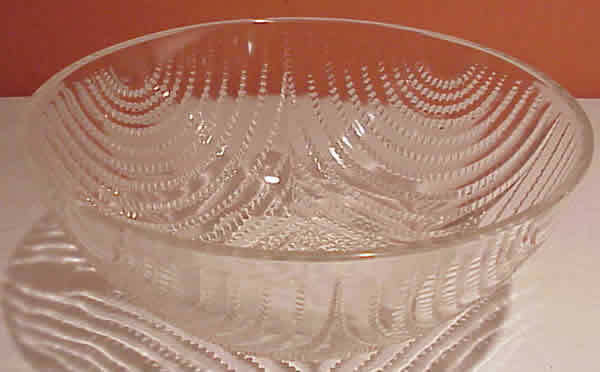 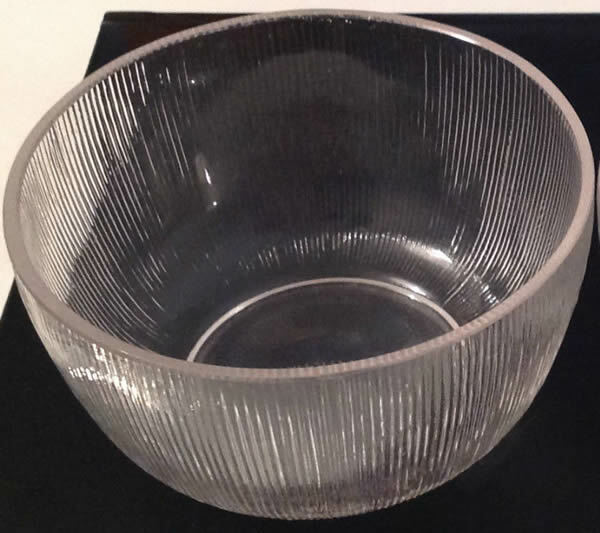 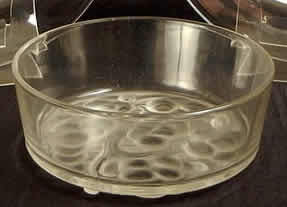 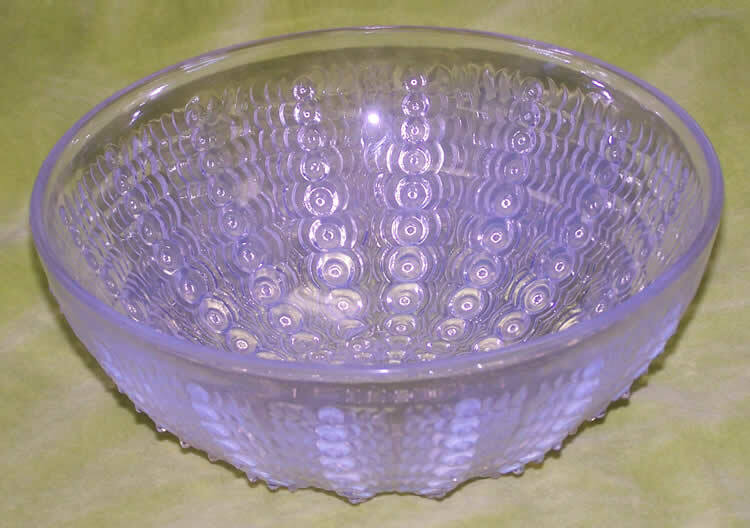 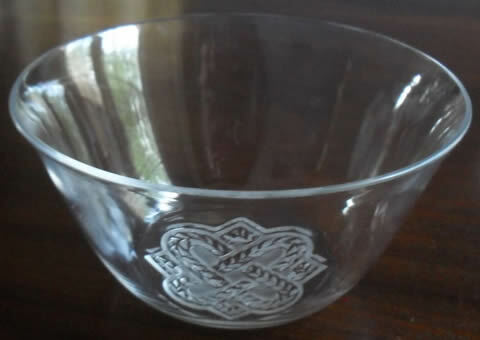 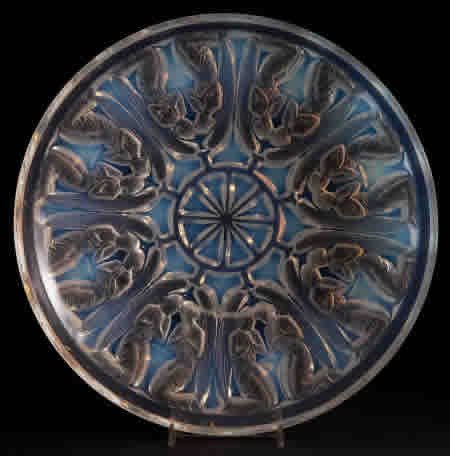 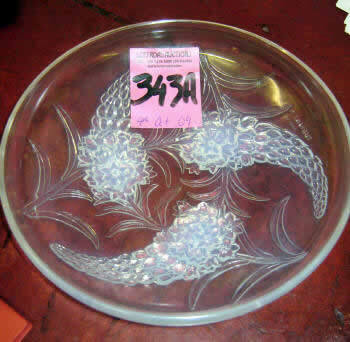 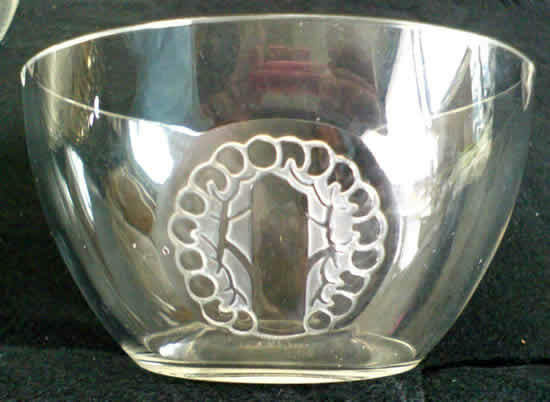 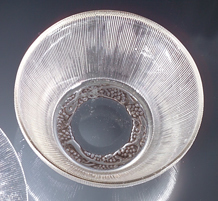 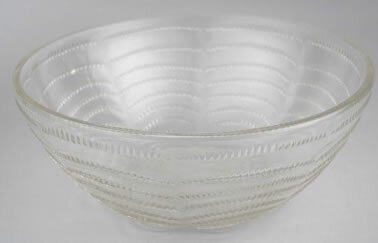 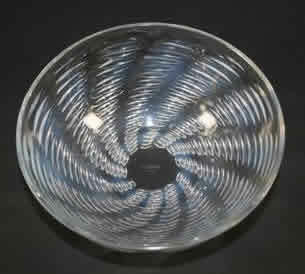 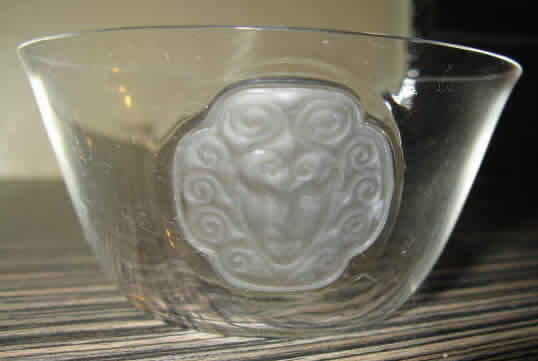 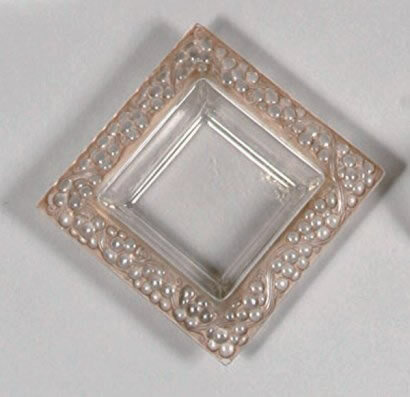 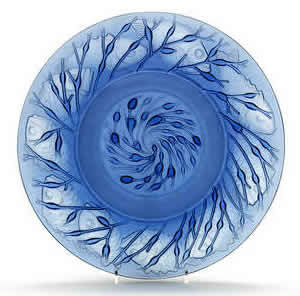 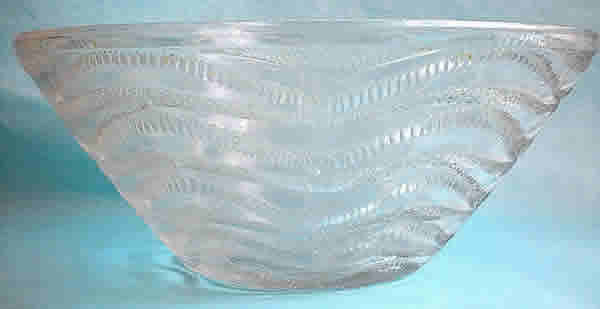 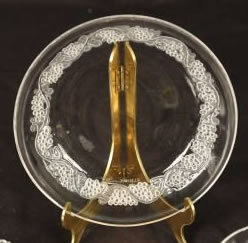 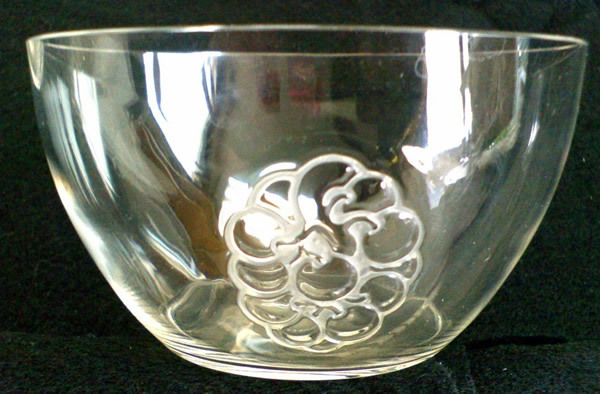 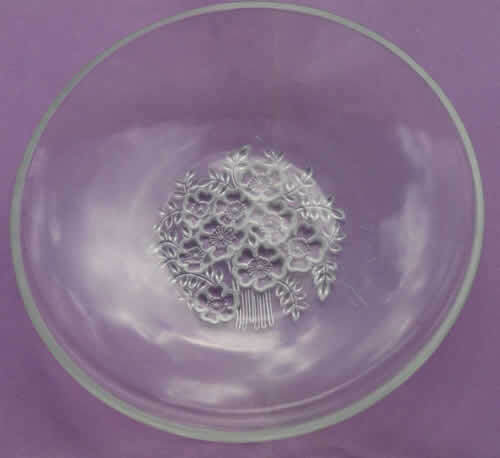 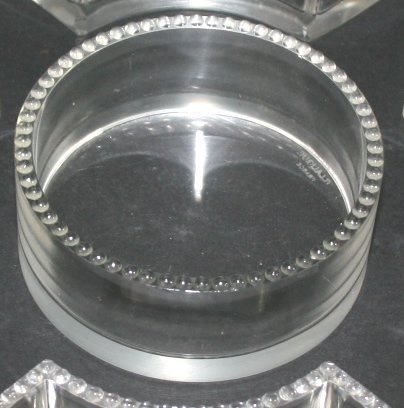 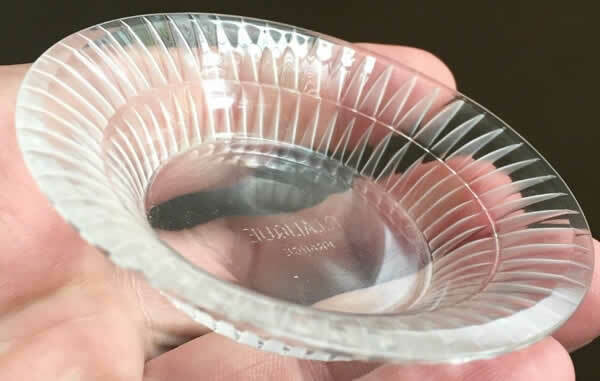 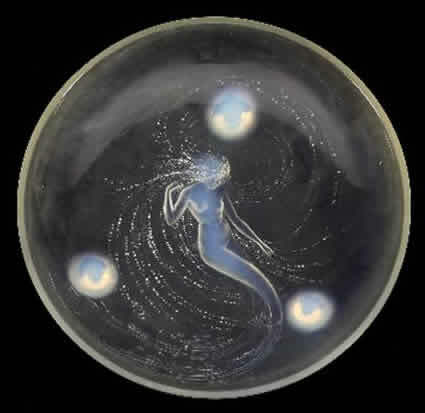 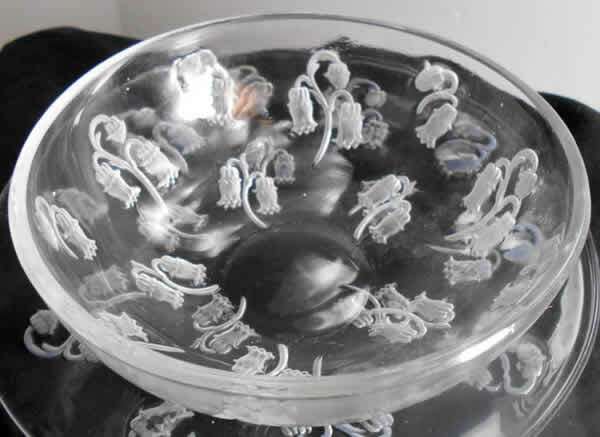 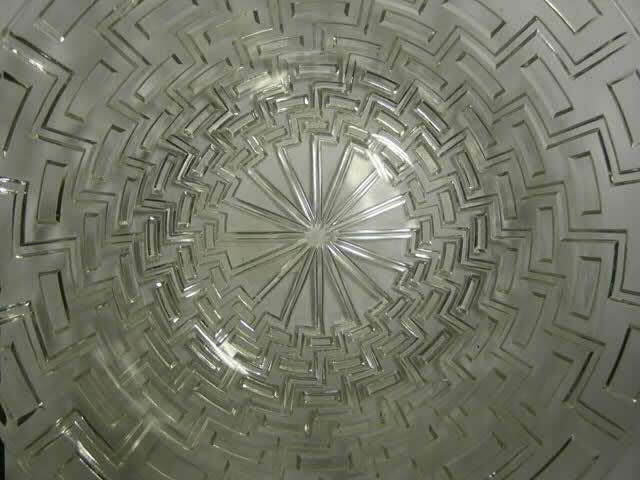 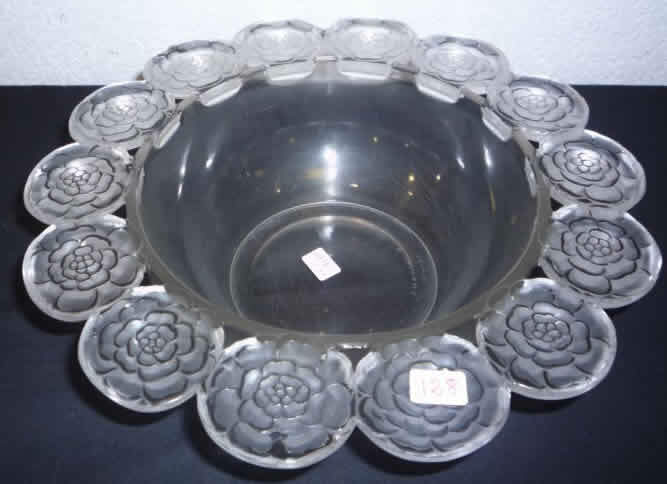 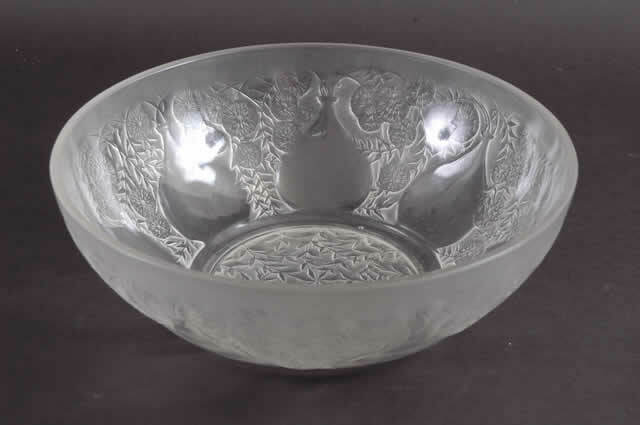 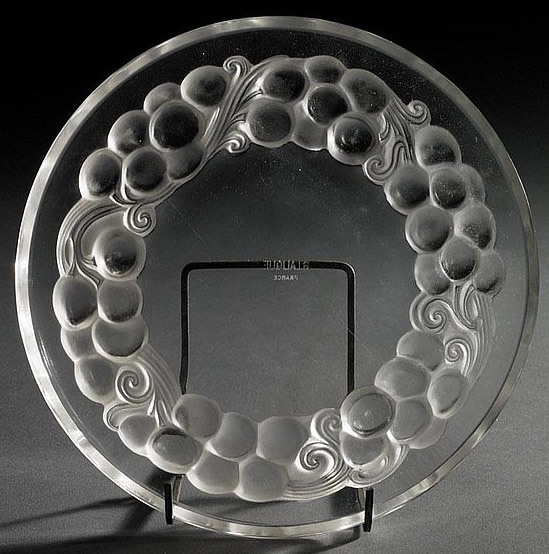 R. Lalique Bowls: In terms of numbers, most R. Lalique bowls were offered in 3 to 7 different sizes and shapes of the same basic design so that a purchaser could assemble a matching service in the same pattern. 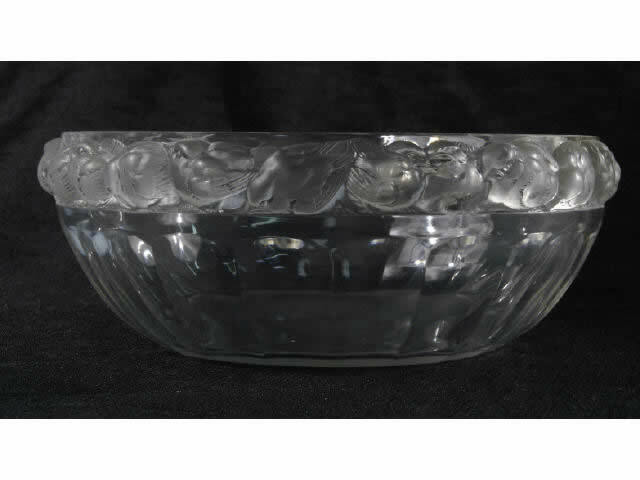 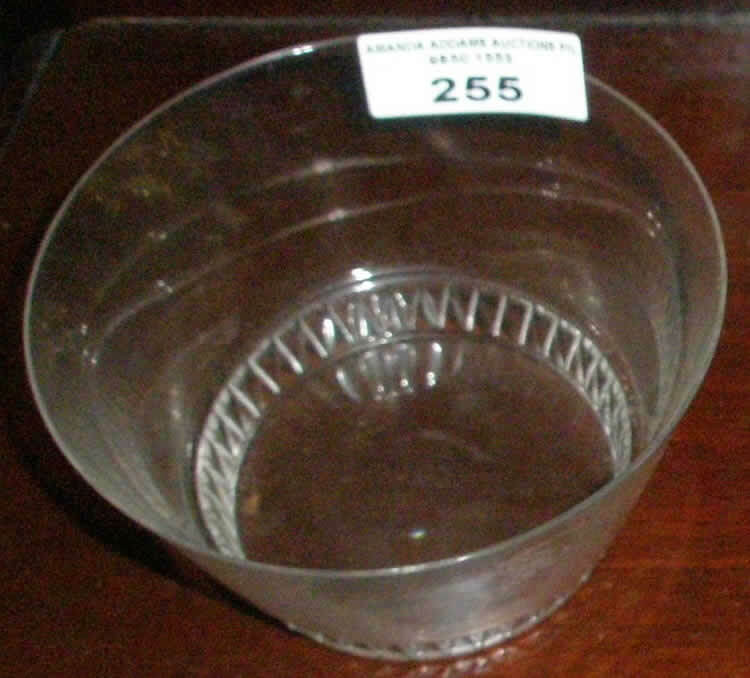 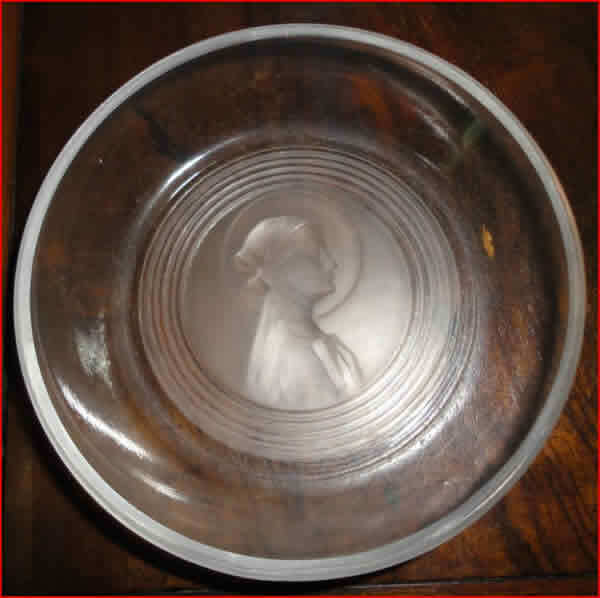 Unless the shape or design layout of a bowl is markedly different from typical, we have only used one bowl from each set on this page so that we don't have hundreds of nearly duplicate listings that would make identification from the photos much more time consuming. 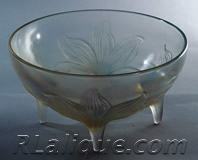 Other sizes and close shapes will appear on the main model page linked from the photos and names below. 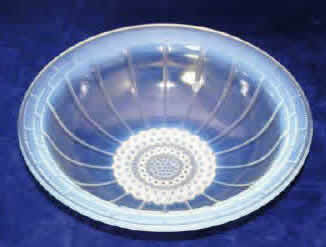 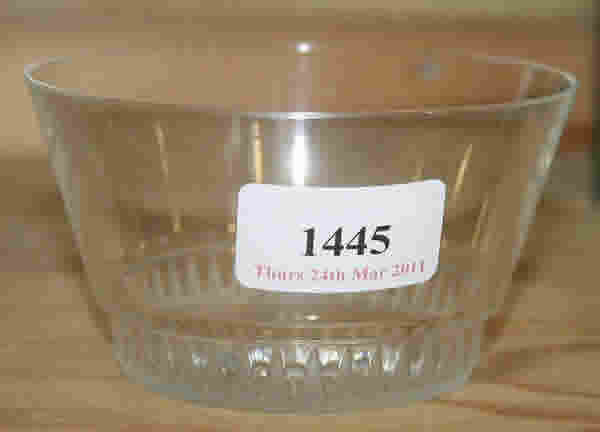 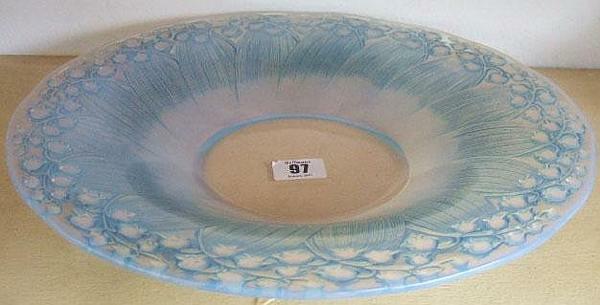 Bowls are also labeled with over a dozen adjectives such as sponge or fruit. 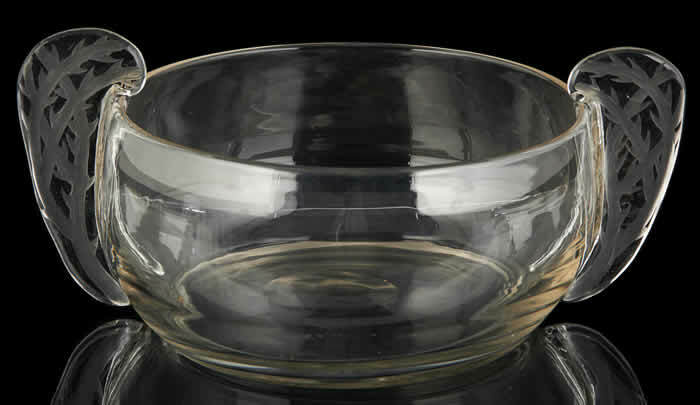 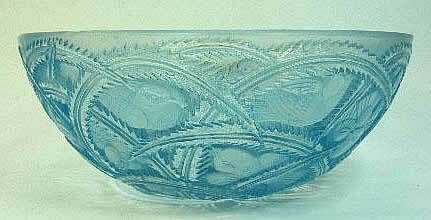 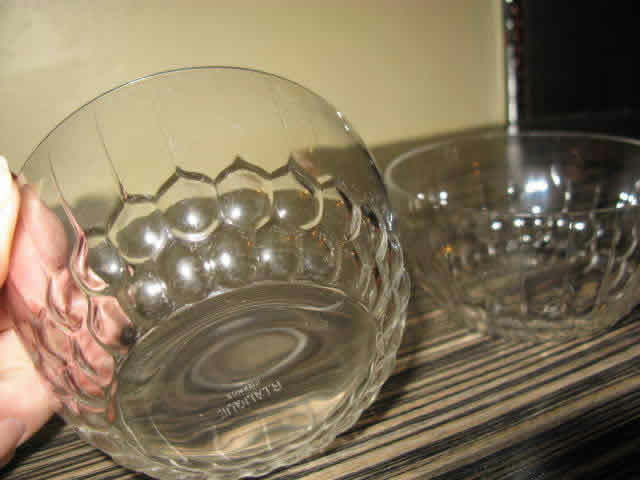 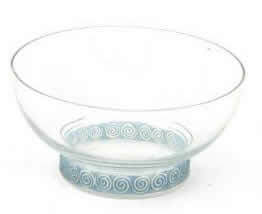 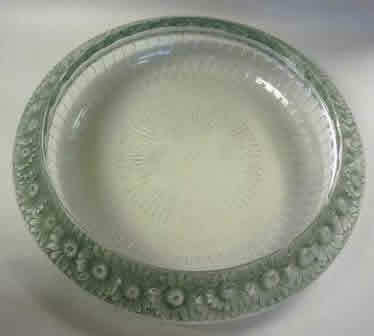 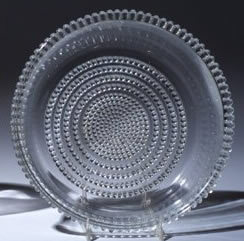 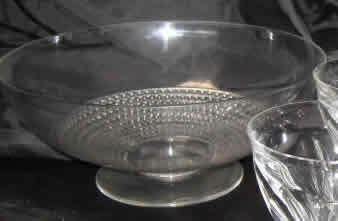 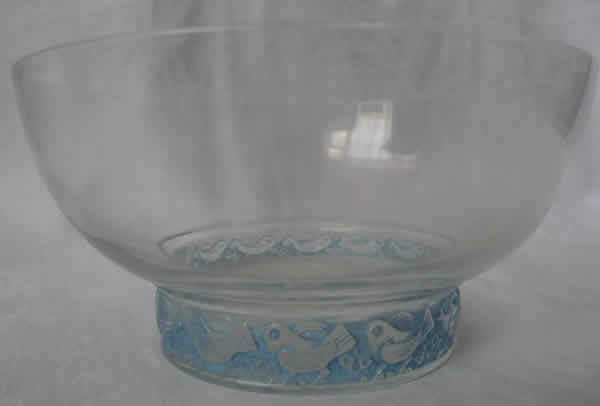 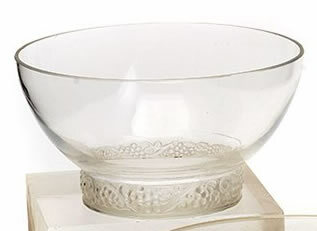 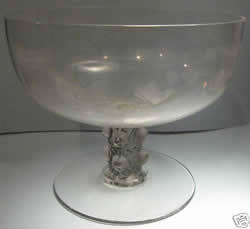 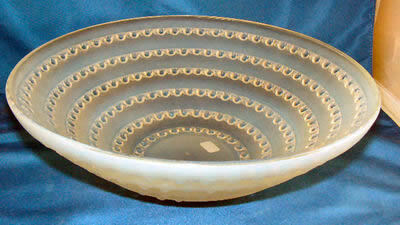 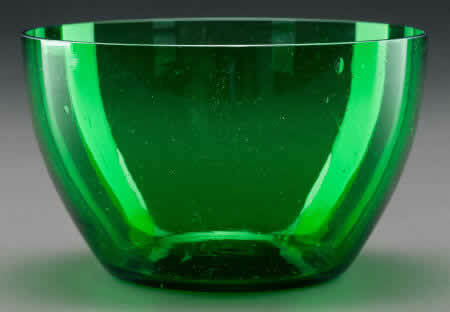 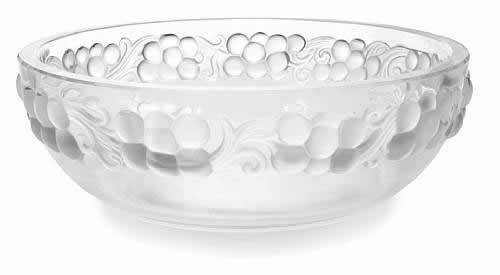 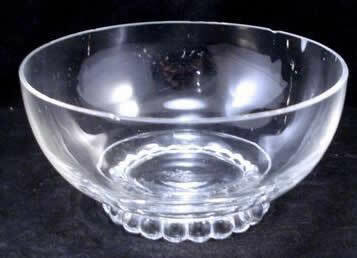 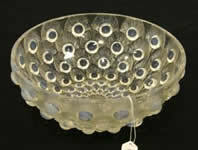 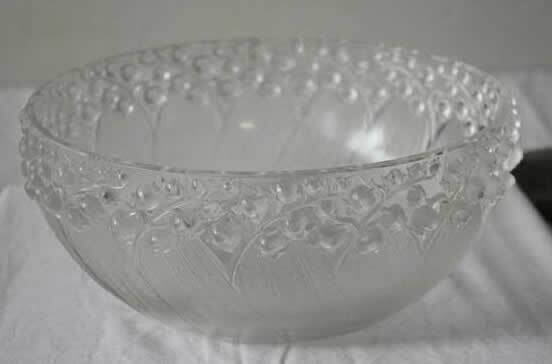 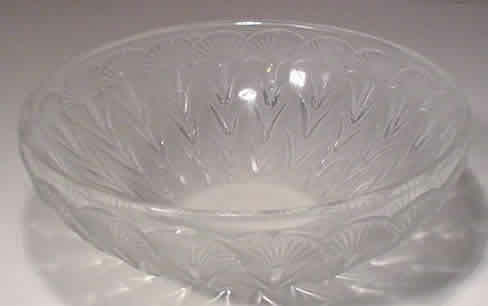 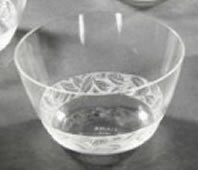 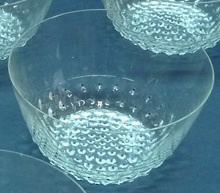 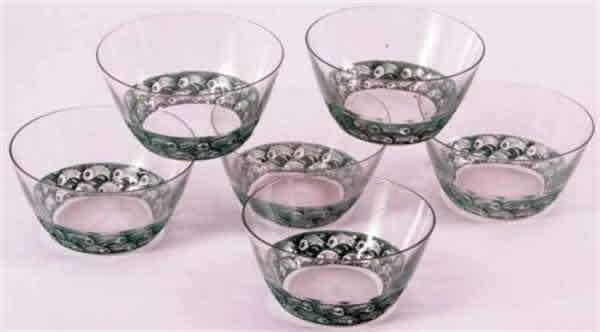 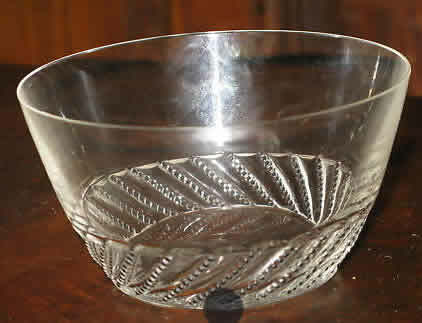 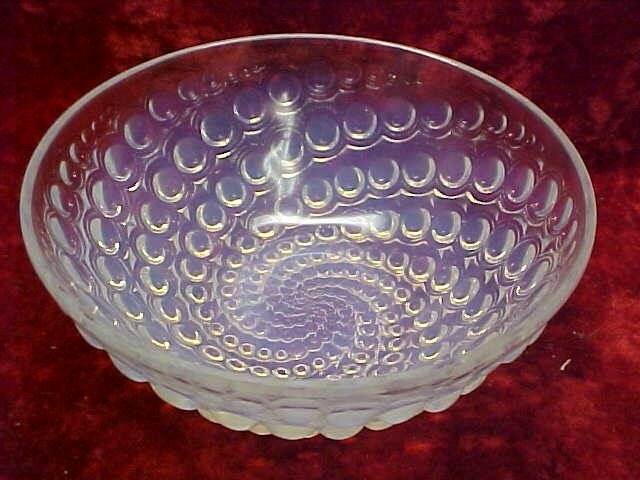 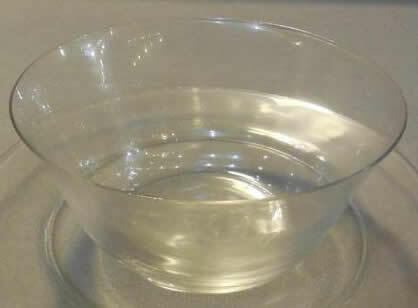 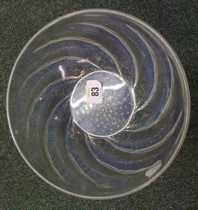 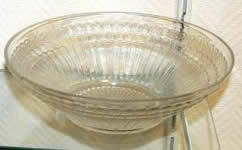 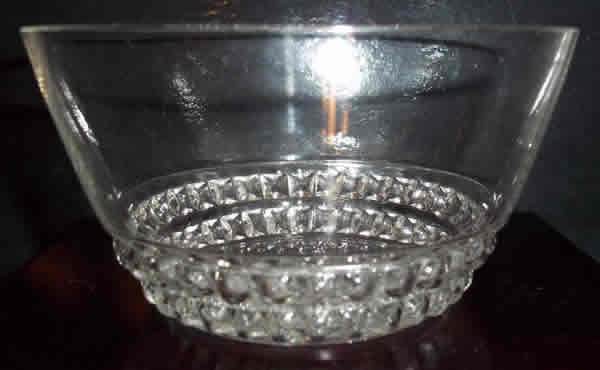 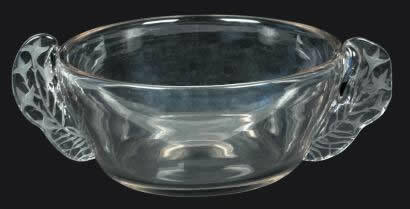 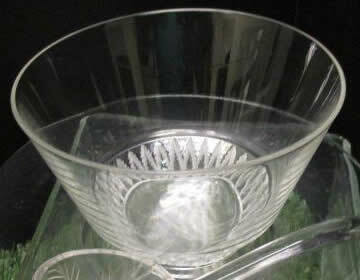 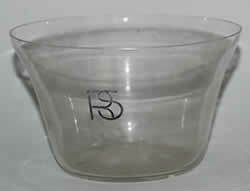 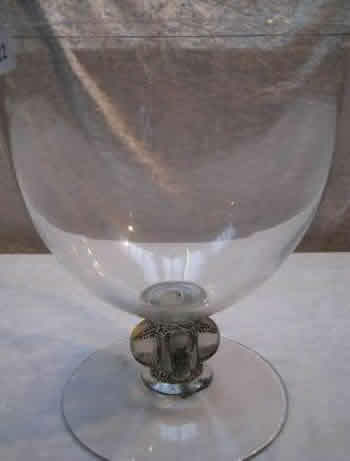 And in French bowls are also called many things including coupes, coupes ouverte, bols a mains, jattes and simply bols. 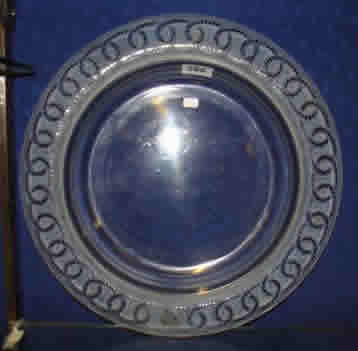 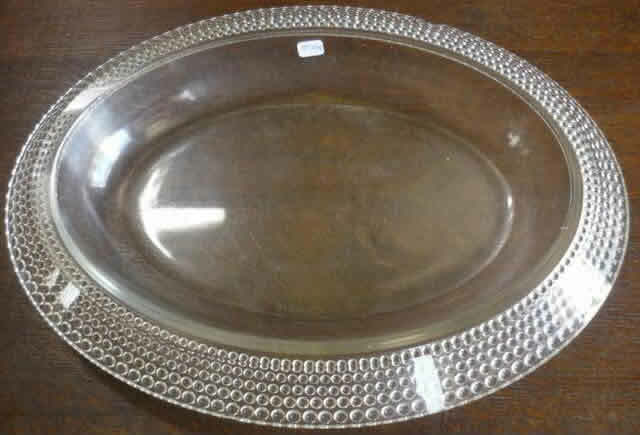 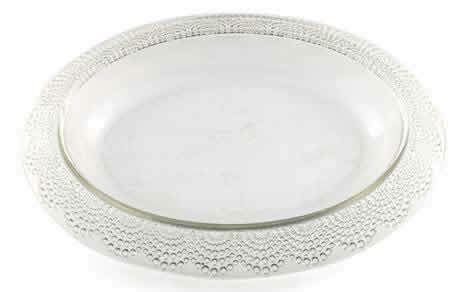 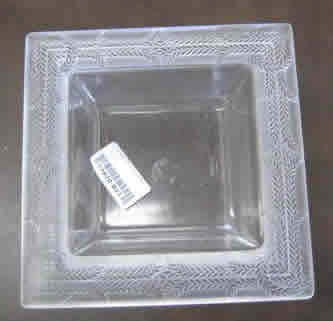 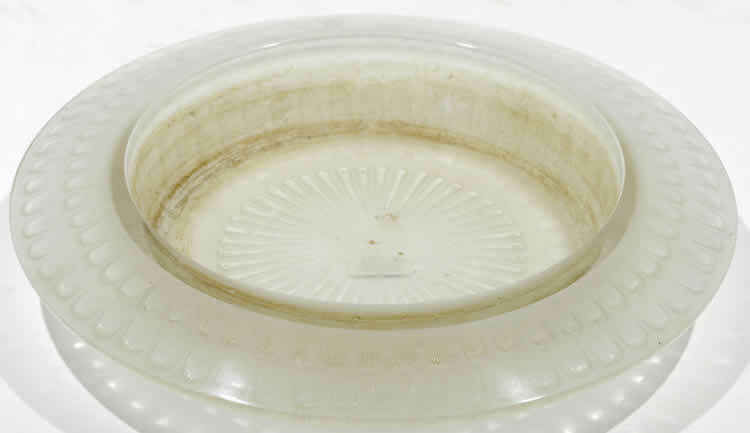 Note: If you don't see your bowl here, check Plates & Trays and Jardinieres.